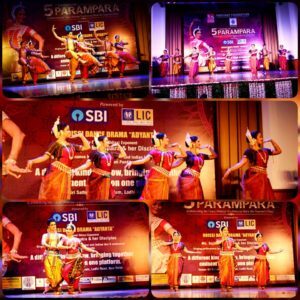 New Delhi: Parichay Foundation organized the fifth edition of Parampara celebrating the guru-shishya tradition to commemorate Teacher’s Day at Sri Sathya Sai Auditorium, New Delhi on September 2nd. 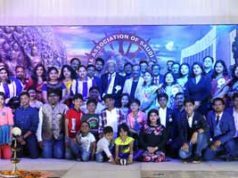 Union Minister, Science and Technology and Environment, Forest and Climate Change Dr. Harsh Vardhan attended the event as the Chief Guest along with MP, Dr. Prasanna Kumar Patasani. 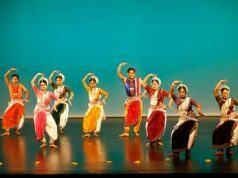 Renowned painter, sculptor and muralist Padma Bhusan Jatin Das, Padma Bhushan Guru Saroja Vaidyanathan (Renowned Exponent of Bharatanatyam), Padmashri Guru Shovana Traxl Narayan (Renowned Exponent of Kathak), Padmashri Guru Jayarama Rao & Guru Vanashree Rao (Renowned Exponent of Kuchipudi), Padmashri Guru Bharati Shiva (Renowned Exponent of Mohiniyattam) & Padmashri Guru Gita Mahalik (Renowned Exponent of Odissi) eminent dancer Padma Shri Madhavi Mudgal and eminent dancer Jayprabha Menon also attended as guests on the occasion. 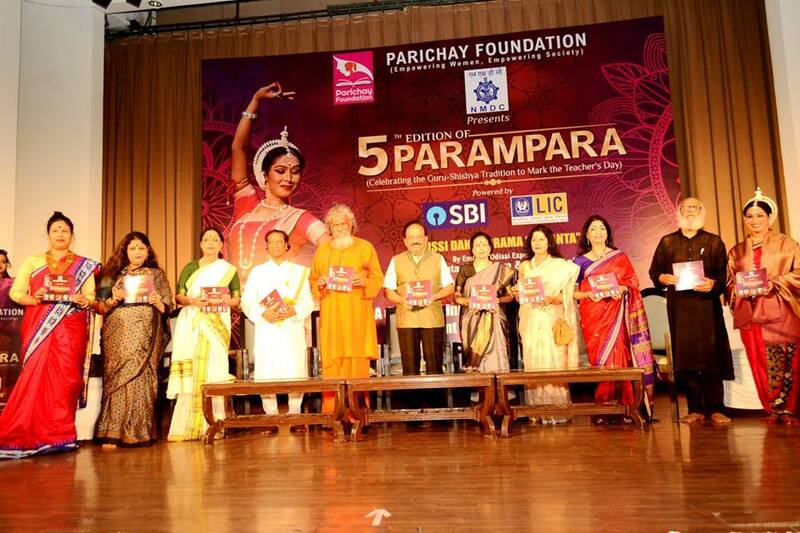 During the event eminent personalities were felicitated for being a support system for Parichay Foundation and also achieving great heights of success in their respective fields. 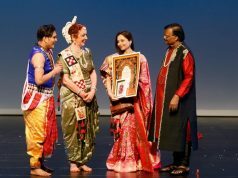 These included Govind Das, founder and secretary Gram Utthan, Surjya Rath, Chairman, Suvadra Art Gallery, Kabita Dwibedi, renowned Odissi danseuse and founder, Odissi Academy in Delhi and Asomee Dutta Baruah, media consultant and social activist.